Thousands of tonnes of food grade salt have been dried and de-dusted to overcome packing issues. 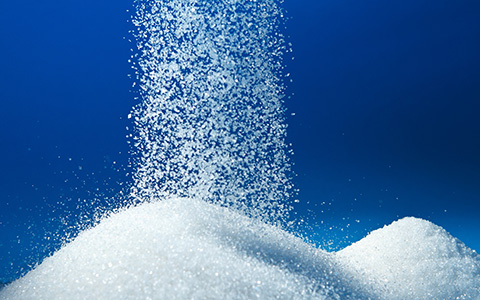 Hundreds of tonnes of sugar were dried and the product de-dusted to permit efficient sachet packing. Hundreds of tonnes of food additives have been dried on both batch and continuous dryer system as part of wet agglomeration processes. Dried product has been packed to lined big bags, boxes and foil laminate sacks for dispatch to worldwide food manufacturing companies. 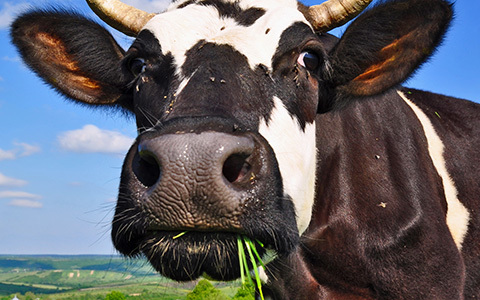 To date there has been little requirement to dry Animal health products. When asked to agglomerate a formulation then dry it we actually devised a more cost effective route with improved yield by using our compaction process. We have over 15 years of experience in drying very high value ultra-fine precipitated chemicals to very low residual moisture. Hundreds of tonnes of chemicals have been dried to closely controlled parameters for complex personal care formulations. Our equipment has been used for the drying of oil refinery chemicals, where the value of a single batches exceeded £0.5 million. Equipment set up and loss control was critical. The project was successful and continued for more than 10 years. Successful drying of water treatment resins requiring carefully, controlled process conditions, in order to avoid shattering the resin beads. Product was packed to lined plastic drums. Continuous drying of wet agglomerated detergent granulates where control of the temperature profile was critical to achieve drying without melting or charring. Flash drying of flue gas treatment chemicals, from paste to dry free flowing fine powder, in one continuous process step. Powder and Granule drying processes are available for use in five of the 16 self-contained process suites in our Crewe (UK) and Helmond (NL) factories. Guidance is given on which process is likely to be the most appropriate and this is based on 35 years of experience backed up by laboratory testing. Raw materials can be received in most containers from sacks to silo bins and final product will be filled according to your instructions. This process is only offered from the Helmond (NL) site. It is usually operated as part of a continuous wet agglomeration system but can receive direct feed of customer supplied wet powder or agglomerate. The drier has 4 separate heated zones and a fifth cooling zone with individual air flow adjustment possible in each zone. Carefully controlled temperature profiles are possible as material passes through the drier. Dried product passing out of the fluid bed drier can be sieved through a multi deck sieve prior to packing to big bags. Fines from both the fluid bed drier extraction and sieve can be collected separately. Oversize can either be collected or milled and returned to the sieve. 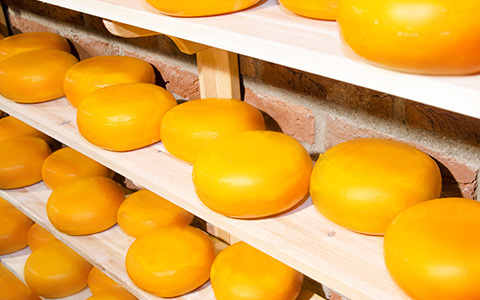 The process can be operated to industrial or ISO 22000 food grade standards. Two batch fluid bed driers are available at the Crewe (UK) site. 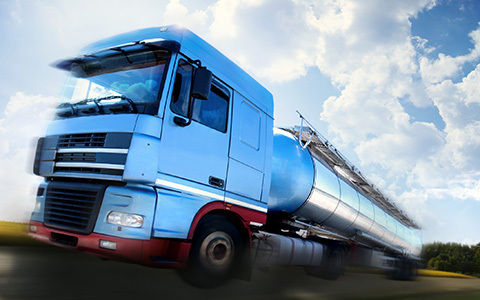 Typical batch sizes are 100 to 200ltr for the small fluid bed and 1000 to 2000ltr for the large Unit. In the small Glatt fluid bed drier powder or granules are either vacuumed into the drier or they can be gravity charged into the drier bowl. Material is then dried by fluidising with hot air before being discharged by vacuum convey system. Material is retained within the Glatt by a cartridge filter system. 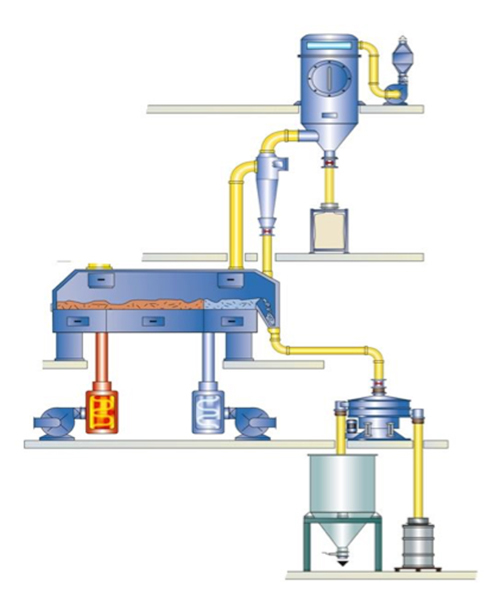 In the large Huettlin fluid bed powder or granules are conveyed into and out of the machine by vacuum transfer. 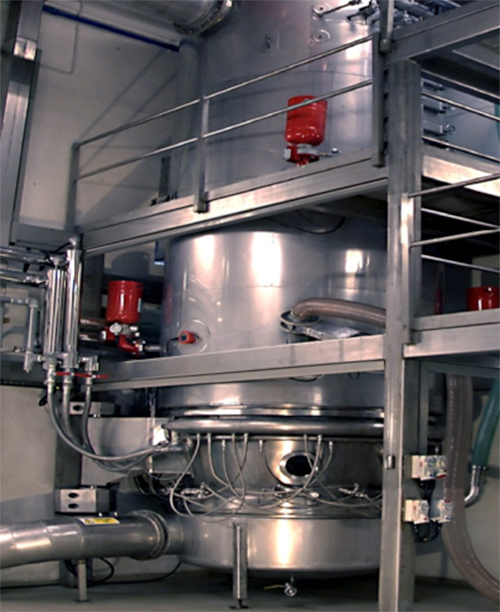 The specialist design of the Huettlin system allows processing of cohesive powders that are not normally possible to handle in a fluidised bed. The transfer systems are designed to handle friable materials with minimal attrition. Dried product can be discharged from the Huettlin via a multi deck sieve which permits removal of any unwanted large agglomerates and/or fines. The system can be fitted with rare earth magnets and is capable of operating to industrial or FSSC 22000 food standards. 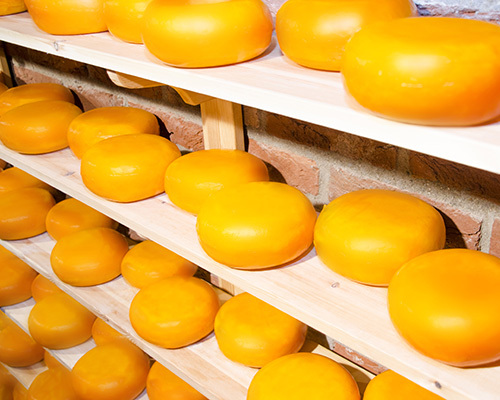 Continuous Flash Drying can be offered from both Crewe (UK) and Helmond (NL) factories. 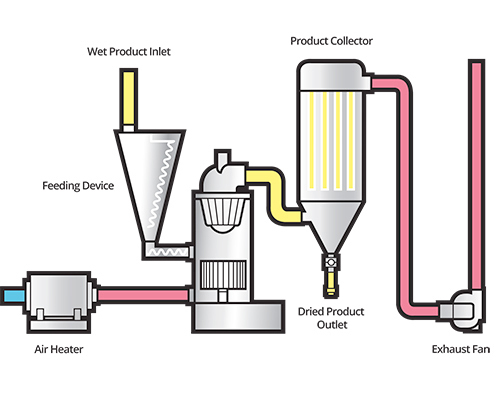 Wet powder, or in the case of the UK system only, paste, is screw fed into the drier where it simultaneously mixes with hot air while being broken up or dispersed by a rotating hammer plate. Damp material and oversize or lumps are retained within the dryer chamber by a spinning classifier wheel and are not released until oversize is reduced to your desired size. Dried material passes out of the drier to a filter cabinet from where it discharges, via a check screen if required, before being packed to boxes, sacks or big bags. The contact time with heat is very short in a flash drier thus it is regularly used to dry heat sensitive materials.